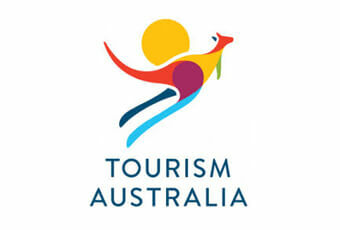 Tourism Australia puts themselves on the map this year with their 1st ever Super Bowl Commercial. Aussies are known for their killer sense of humour, and this time they’ve really pulled it out the bag with a hilarious teaser ad that’s gone viral. The ‘Fake Crocodile Dundee 2018 trailer’ has already been hailed as one of the most successful Super Bowl Commercials of all time – and one of the biggest trolls in film history. The movie, titled: ‘Dundee: The Son Of A Legend Returns Home’, is chocka with an all-star cast from Down Under, including Chris Hemsworth, Hugh Jackman, Liam Hemsworth, Oscar nominee Margot Robbie, Russell Crowe, Isla Fisher, Ruby Rose, Jessica Mauboy and Luke Bracey. The buzz around this ad has been huge; since the first teaser was launched, it’s seen content engagement around Tourism Austria increase by over 1000% at the time of writing. And when it comes to fan recognition and engagement, they’ve certainly made it to the big league, as it hops way ahead of fan-favorites Budweiser. They’ve even gone as far as including a convincing website for the movie – check it out here. Paul Hogan (the original Crocodile Dundee) is listed as Executive Producer. Want More? See All 2018 Super Bowl Commercials!